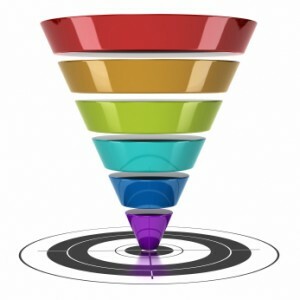 Increasing your website's conversion rate is a real exercise in quality over quantity. You see, if you focus on driving more traffic with the idea that more visitors equal more leads, you're likely to just end up with more visitors (i.e. quantity). Instead, what you want to do is provide an experience that makes your current visitors want to stick around and become satisfied customers (i.e. quality). But maybe we're getting a little ahead of ourselves here. First, let's discuss the term "conversion rate." If you are a doctor, for example, your website's conversion rate is the number of visitors, or potential patients, who then become actual patients. It's a simple concept, of course, but where many people go wrong is in trying to increase their conversion rate by increasing their traffic. Instead, the focus should be on optimizing a website with effective content, design, and branding to provide an experience that convinces the current users to, say, set up an appointment (or buy a product or service). As a digital marketing agency, our main goal is to increase conversion rates for our clients, so we've compiled a list of our top tactics for making the most of your marketing budget by focusing on conversion. • Make your website user-friendly. Here's the thing about websites, if they aren't easy to use or visually pleasing, your visitors aren't going to stick around. Take a critical look at your site. Is the interface clean and user-friendly? Does it really showcase your business in a professional and intriguing manner? • Effectively utilize landing pages and calls-to-action. Here are a few simple steps to creating effective landing pages: craft a strong headline that creates a sense of urgency, remove any extra navigation, use persuasive wording on your calls-to-action buttons, and, finally, keep your conversion forms simple. • Use details to build a sense of trust and credibility. Make visitors feel more at ease by prominently displaying your office's address and phone number. It also doesn't hurt to provide an e-mail address designated for inquiries from the website; respond to e-mails promptly. In addition, design and content play a vital role in building trust and highlighting your professionalism. Invest in a great graphic designer and a copywriter, if you don't have someone to do this in-house. • Follow up with e-mails or phone calls. When a user has converted on a landing page or a new patient has booked an appointment, send a follow-up e-mail (or make a phone call). If you provide above and beyond service and communication, your new patients are more likely to refer their friends and family. • Include content that is relevant and helpful. An effective site provides users with a variety of information. Of course, a website for a medical practice should explain the specialties of the doctors and protocol for booking an appointment, but by posting other relevant, helpful information, such as research articles and industry-related news, you become a trusted expert whose professional opinion is far more valuable. • Communicate what sets you apart from others in your industry. How are you different or better than other professionals in your industry? How does your practice go above and beyond to provide a superior experience than anywhere else in your area? Finally, many people want to know what a "good" conversion rate is. Based on our experience, there is no typical conversion rate that translates across businesses and industries. However, it's important to keep in mind that the goal should always be improvement--convert more today than you did yesterday.